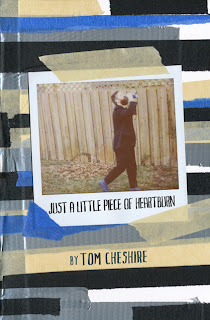 Tom Cheshire’s Just a Little Piece of Heartburn, the latest offering from Safety Third Enterprises, is a collection of sometimes funny, though often sad, broken heart and world weary poems that swim in the last gulps of a whiskey bottle, dream sweaty dreams, and stumble, bleeding, either toward an end or an aftermath. These are poems about having it and then losing it, loving it and then pushing it away, squeezing it so hard that it slips up and out of our arms and into the sky. These poems are about seeing, feeling, and tasting it disappear, and being helpless to the senses and the certainty. Cheshire’s accomplishment with this collection is his ability to make well-worn themes of love and loss feel fresh, and he does it with simplicity and honesty. And while there isn’t much redemption to be found in these poems, there are faint (very faint) glimmers of hope. Cheshire understands that time heals, and that part of that healing process involves wallowing in the hurt. 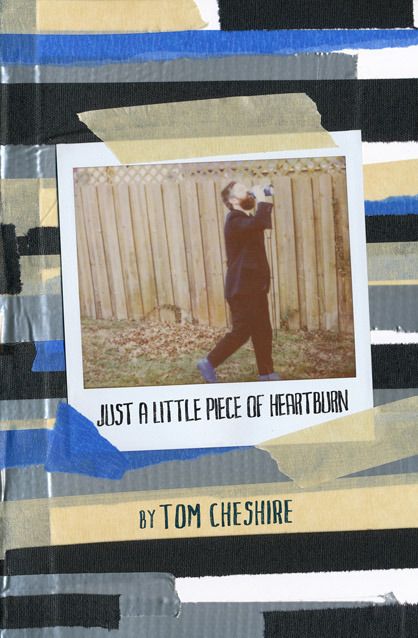 This collection is both the wallow and the hurt, but it’s not without its careful grins. Purchase Just a Little Piece of Heartburn HERE.